As it teased earlier, Samsung today officially introduced a smaller version of the Galaxy S8 in China. Unlike everyone expected, Samsung did not launch the device as Galaxy S8 Lite, instead, it has gone with the moniker as Samsung Galaxy S Light Luxury. Although it’s launched with Galaxy S moniker, the smartphone sports similar design as the Galaxy S8 including the Bixby button and the infamous fingerprint scanner placement. Another difference between the Galaxy S Light and Galaxy S8 is the hardware inside. While the Galaxy S8 arrived with Snapdragon 835 SoC and Quad HD+ display, the Galaxy S Light Luxury features mid-range Snapdragon 660 chipset and a Full HD+ display. The Galaxy S Light Luxury edition, for now, is limited to the Chinese market and can be picked up via e-commerce portals in the country. The smartphone comes in two colour options- Black and Burgundy Red. The device measures 8mm in thickness and weighs 150grams. The design of the smartphone is pretty much similar to the Galaxy S8- the Bixby button and volume rockers are located to the left, while the power button is on the right side. The oval-shaped fingerprint scanner is present at the rear. The Galaxy S Light rocks a 5.8-inch Full HD+ display with a resolution of 1080 x 2220 pixels. Under the hood, it has the Qualcomm Snapdragon 660 SoC and comes in a single 4GB RAM variant. The phone comes with 64GB of internal storage, and there’s a microSD card slot for storage expansion up to 400GB. There’s a 16MP camera at the back with f/1.7 aperture and LED flashlight. Up front, there’s an 8MP selfie shooter with support for 1080p video recording. The rear camera is capable of shooting 4K videos. 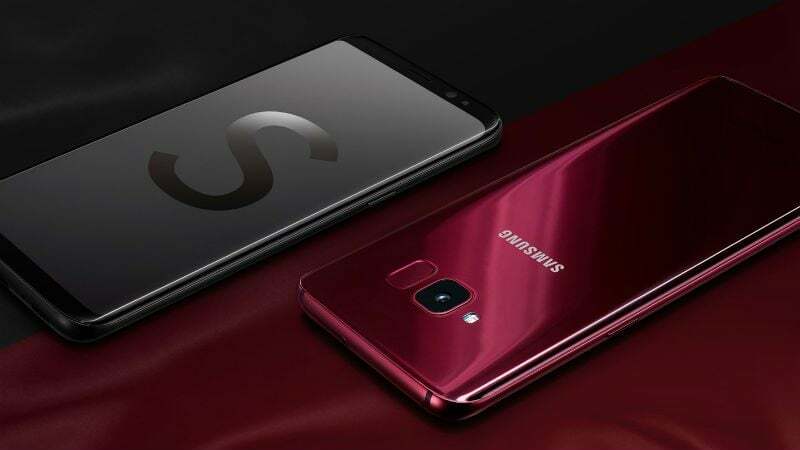 The Galaxy S Light Luxury smartphone ships with all the necessary connectivity options such as 4G LTE, VoLTE, Wi-Fi 802.11 b/g/n, Bluetooth 5.0, GPS and USB Type-C port. The phone is fuelled by a 3000mAh battery and comes with IRIS scanner as well. The phone also offers wireless charging feature. As mentioned, the Galaxy S Light Luxury will be limited to the Chinese market as of now, but in the future, it could be launched with different moniker in other markets such as India. The smartphone is priced at CNY 3999 (approx. Rs 42,500) in China. Useless model. Again A9 pro 2016 rocks for just Rs 31000. Again useless. One Plus 5T and 6 are way better at that price. Even Honor 10 and Honor View 10!!!!! A9 pro is discontinued and doesn’t cost 31000. It costs 16-19K if you can find one in stock. Even better option: C9 PRO at 25K approx. Should be priced at 35000Rs to take on Honor 10!!!!! It will launch with different name in my opinion!!!!!! Did u notice how Samsung is discounting the A series to sell units? C9 pro discontinued only to sell off the unsold a8+. Galaxy S light if launched will again cause problems to sell A8+. I doubt they will launch in India because they didn’t launch Galaxy C8 and Galaxy C5 either. S light is a pilot. They will observe how it does in China and then think of Indian launch. If A2 launches below 20000 then surely Samsung won’t launch!!!! !